Everyone wants more traffic to their websites. The first step before you can engage in any traffic building of course is content. Before content comes, gasp. Keyword selection. 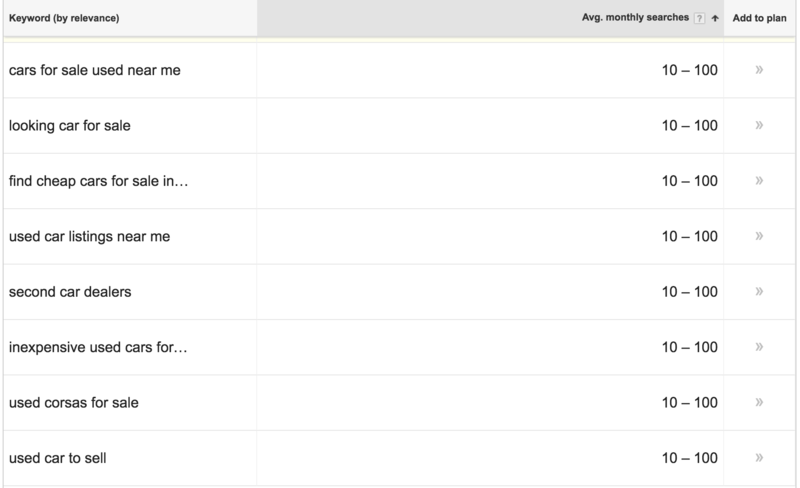 Select the right keywords to drive traffic & (hopefully) lead to conversions. How about keyword research tools? How we are taught to do keyword research. For each and every page you will have online, it needs to target one keyword. Each keyword you choose has a potential value and therefore naturally you want to rank and go after the most valuable keywords. The most valuable keywords are ones that have the biggest search traffic potential. We might look at the keyword “used car sales” and decide that with 10K-100K monthly search traffic, it’s not a bad keyword. So naturally “cars for sale” is on our list. Such broad search terms will be extremely competitive to rank for. Instead, we are directed helpfully to instead focus our time on “long tail keywords”. That is aim for keywords with less search volume such as “used car listings near me” but with fiercely less competition than the top keywords. Then make up the difference in traffic by going after more long tail keywords. It can be a tight rope balance to find the right strategy here. I’ve seen this bandied about. 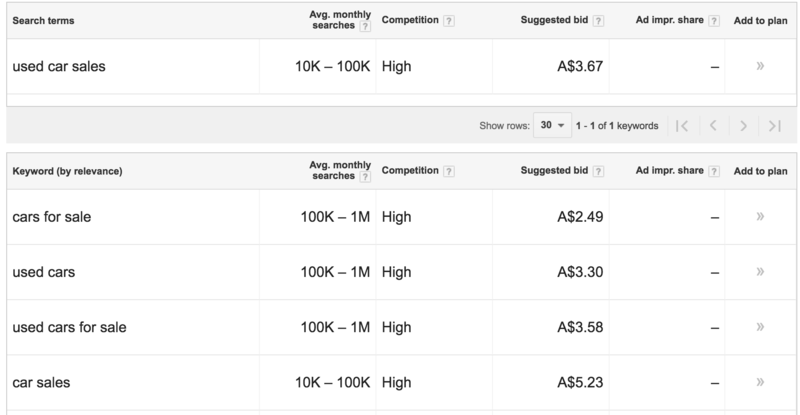 You can test potential keywords by actually buying for and bidding on your potential keywords using Google Adwords etc then run traffic to a page and actually compare the numbers. However this isn’t a very realistic option for most of us. You need to have an article ready. (Its chicken and the egg). In order to test a keyword, you need a landing page for that keyword. It requires money and time. Even a $100 budget may not be enough to test the conversion rate as the numbers maynot be statistically significant. 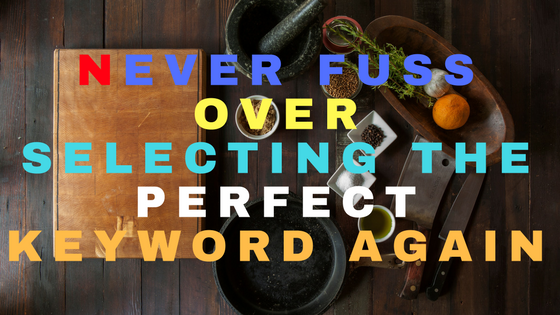 Are you testing your content and keywords? or are you testing your ability to write ads? There are many free and paid tools. However, if you compare the output… many times the difference between Google Keyword Tool and the other tools are slight. However, they might try to sell you on some *NEW* sophisticated algorithm that can correctly predict how competitive a keyword is. The question then is still the same. Go for the low hanging long tail or go for the home run generic keywords? There is no such thing as a high traffic keyword that isn’t already extremely competitive. If you can write a useful and informative article based on that keyword. Just do it. Remember Google is about providing the best experience for its users. Which means, content that will help its readers. The trouble with using Google Keyword Tool is that it is a tool actually built for adwords advertisers and not for determining your next article. Lets choose a topic. “cars for sales used near me”. Although its long tail, it’s just a seed keyword. You may rank exactly for it, you may not. It doesn’t matter. Why? Google ranks pages holistically. It reads all the words on the page and determines based on all the words what parts are most useful for its search users. If you happen to write something that Google thinks will answer a persons search query it will consider it relevant and the chance of it displaying is higher. Google doesn’t determine if your article is relevant or not based purely on the presence of the exact keywords on a page! Yes, it is possible to rank for and get traffic for searches “cars for sales used near me”, even if the exact words don’t appear anywhere on the page in that order. What is more important is the presence of other words on the page. Given the following 2 pages, which one is more useful for a reader? Quisque justo justo, pellentesque sed semper id, ullamcorper vel nibh. Suspendisse tincidunt enim nec urna posuere, ut dignissim nibh pretium. Curabitur sodales iaculis malesuada. Ut feugiat lacus sed risus euismod suscipit. Nullam eget rhoncus tellus, a congue sapien. Aliquam eu metus sit amet nunc cars for sales used near me dictum volutpat. Nulla eget tellus in erat elementum ultrices. Nam imperdiet accumsan odio, quis mattis tortor bibendum ut. That’s part of what makes our used car dealerships near Kansas City so revered we offer late model used vehicles from Chevrolet, Buick, GMC, Hyundai, Nissan and Toyota, among many others. What makes #2 better is that it contains words related to used car. If you did the search out of Kansas, then it’s even more relevant. In fact it really is just about the words on the page. Google doesn’t care. All it knows is that the words ‘vehicle’ appears next to ‘car sales’ more often than ‘Nam imperdiet’ does based on its experience analyzing and caching billions of text documents on the internet. Lets just call it a seed keyword, something to get you started about what to write about. It doesn’t matter that much, it’s more important instead that in the process you are using the right kind of words and phrases Google is expecting to see.